If a man be truly called of God to the ministry, I will defy him to withhold himself from it. 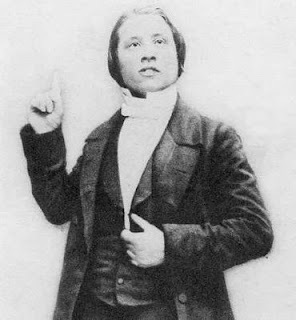 A man who has really within him the inspiration of the Holy Ghost calling him to preach, cannot help it—he must preach. As fire within the bones, so will that influence be until it blazes forth. Friends may check him, foes criticize him, despisers sneer at him, the man is indomitable; he must preach if he has the call of Heaven. All earth might forsake him, but he would preach to the barren mountain-tops. If he has the call of Heaven, if he had no congregation, he would preach to the rippling waterfalls, and let the brooks hear his voice. He could not be silent. He would become a voice crying in the wilderness, “Prepare ye the way of the Lord.” I no more believe it is possible to stop ministers than to stop the stars of heaven. I think it no more possible to make a man cease from preaching, if he is really called, than to stay some mighty cataract, by seeking, in an infant’s cup, to catch the rushing torrent. The man has been moved of Heaven, who shall stop him? He has been touched of God, who shall impede him? With an eagle’s wing, he must fly; who shall chain him to the earth? With a seraph’s voice, he must speak; who shall seal his lips? And when a man does speak as the Spirit gives him utterance, he will feel a holy joy akin to that of Heaven; and when it is over, he wishes to be at his work again, he longs to be once more preaching. Is not the Lord’s Word like a fire within me? Must I not speak as if God has placed it there? From Charles Spurgeon, Autobiography, Vol. I (Banner of Truth, 1962 [1897-1900]): p. 185.